First-time author Carole Estby Dagg has taken a piece of her family’s history and weaved a tale of courage and adventure, honouring her great-grandmother and great-aunt—two women in 1896 who walked (that’s right, walked!) across America to save their farm. 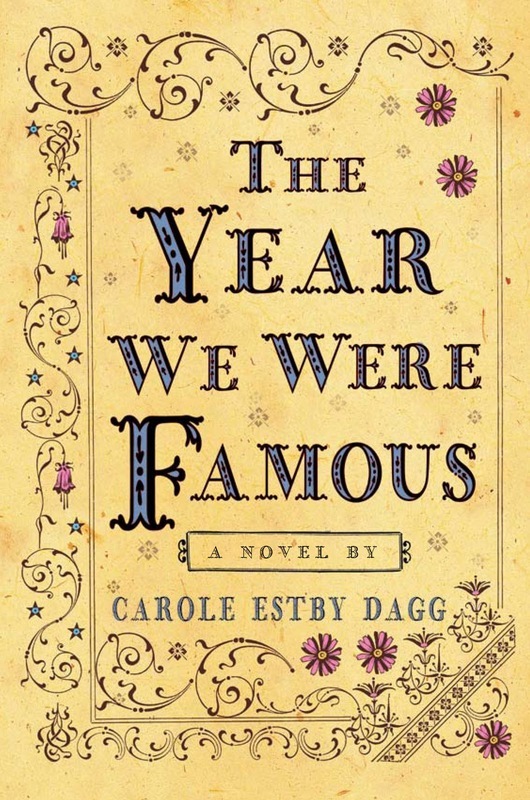 When their home faces foreclosure, Helga who has a flare for the “hoopla” decides she is going to leave her children and husband to walk 4600 miles from Mica Creek, Washington to New York City, where a publisher has promised the reward of $10 000 if she makes it before the deadline. It will take seven months to do it. Clara, her 17-year-old daughter, decides to join her mother, and they trek out with only $10 in their pockets. They will rely on hospitality for food and shelter. Clara is shy, hardworking, and reliable. She worries about her mother and doesn’t think the walk is a good idea but she also wants more to life than to marry the farm boy next door. Helga is charming, draws others to her and is the center of attention, but she can experience depression to the point of immobility. I really enjoyed their adventure as they battled their own imperfections, met Indians, got caught in a blizzard in the Blue Mountains and survived a flash flood that nearly cost them their lives. They suffered hunger, heat, cold, extreme fatigue and painful blisters on their swollen feet as they wore out 32 pairs of boots. But this story is more than just a difficult trek across America. It’s about a mother and daughter relationship, about learning to choose what you want to do with your life rather than just settling because it’s safe; it’s about women’s rights and the strength to overcome even the most difficult circumstances. It’s about determination, courage and the will to survive. 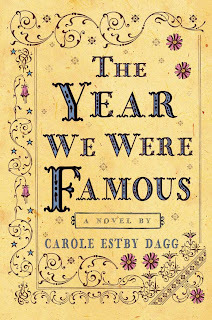 The story is told from Clara’s point-of-view, and I liked her small town voice and expressions as she described her feelings, such as: “…but having too many choices put me into a mugwumping dither.” I could so easily picture the era and the changing times of America on the brink of the 1900s. The traveling experience changes Clara, helping her to become more assertive. The ending leaves many possibilities for her future and the author’s message is that dreams are accomplished one step at a time. I have to admit I would have liked the story to be longer as I was left wondering what Clara would go on to do. I was so caught up into their adventure I did not want it to end so soon. I highly recommend this for mother/daughter book clubs and anyone who enjoys a good adventure and needs a boost to overcome their fears of dreaming big. It would also make a great addition to any high school library. 1. Leave a comment about anything crazy you've done to accomplish a dream. Include your email address. 2. For an extra entry, leave another comment if you are a follower new or current. 3. Open to US and Canada only. 4. Giveaway ends April 15, 2011. I love when I start to leave a comment after reading a review...and then notice the rest of the review and it's a giveaway!! THis sounds really good. If I don't win, I sure hope my library gets it! I agree with Annette. I hope my library gets it too. I've always wanted to do a triathlon. My 11yr old niece had to do for her Gymnastics and I did it with her and whole bunch of kids younger than her. I loved it. It wasnt crazy competitive because all the parents were just cheering for the kids. I added this to my goodreads list a few weeks ago, but this is the first review I've read...thank you! My dream was to be a teacher. I quit my job, went to teacher's college, and became $42,000 in debt, When done teacher's college, I moved 3000 km west to teach. I would love a copy of this book, and I'm a follower. Would love to read, thanks ! for the giveaway. Would like to read the book. My dream 13 years ago was to be married to the love of my life with all of our family and friends there. We were far away from said family and friends. We took a weekend and met them all at a church in our old home town and got married. Too bad we had to leave at the end of that weekend but it is one I will never forget. I am a new follower of your blog. I love your header. Such a great picture. Let's see, comment on something crazy I've done to fulfill a dream. I wanted to be a mother and I raised six children. Some would think that is crazy. I would do it again in the blink of an eye. This book sounds interesting, I hope I win a copy. Oh, I am a new follower.